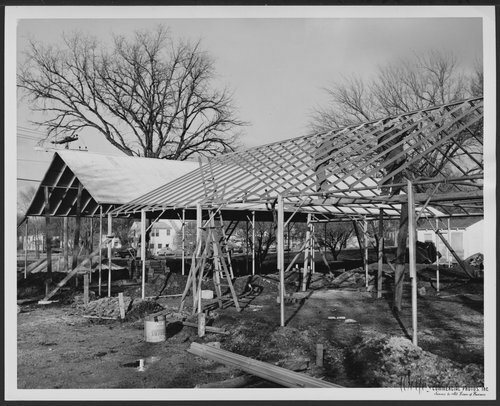 A greenhouse was built in 1960 to provide gardening activities and projects for patients under the direction of the Adjunctive Therapies Department. The Menninger Sanitarium Corporation purchased a 20 acre farm and the farmhouse became the clinic. The surrounding 20 acres were developed with buildings and gardens to become the "East Campus" of the Menninger Foundation. In 1982, the "West Campus", a much larger area, was developed west of Topeka. In 2003, the Menninger Foundation was moved to Houston, Texas.